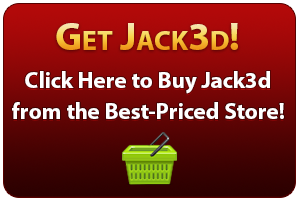 Click Here for the Best Deal on Jack3d and Get your AAKG in! Arginine AKG, also known as arginine alpha-ketoglutarate, and also shortened as AAKG, is one of the primary ingredients in Jack3d, the world’s #1 selling pre-workout supplement for two years running. 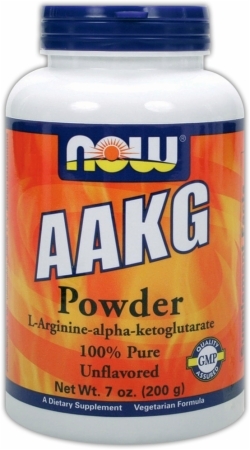 Arginine AKG is based upon the non-essential amino acid L-Arginine. This is the ingredient that is responsible for your body’s increase in nitric oxide (NO) in your bloodstream, which THEN works as a vasodilator to literally widen your blood vessels, increasing bloodflow and nutrient delivery to your muscles. In short, this is the ingredient that gives you the “pump” when you take Jack3d and are hitting the weights. Awesome! Now, to get a bit scientific, the alpha-ketogluterate part is a salt that is bonded to the L-Arginine molecule, and this is so that it is easier to digest and more bioavailable in your body — less of it gets broken down as quickly as straight-up L-Arginine, so it’s far better to supplement, yet still inexpensive. Arginine is called a “non-essential” amino acid because it is already synthesized in your body. If something is an essential amino acid, that means you MUST get it through diet. While that’s not the case with AAKG, it’s been found that we simply don’t get enough via the diet to get any of its amazing effects of increased bloodflow – hence its supplementation. So, as you can guess already, Arginine AKG is responsible for increased bloodflow and nutrient delivery. However, it can also help with muscle growth, strength, and endurance. More NO in your body activates protein synthesis, which basically means muscle growth and repair. Not only that, but AAKG also helps your body widen blood vessels in other areas… such as your erections. Take some thirty minutes before it’s time to be with your woman, and you may note a slightly firmer erection. Nothing out of this world — it won’t completly cure erectile dysfunction (ED) — but it is a bit awesome. There are very few side effects to taking AAKG. If you take monstrous doses, such as 20g or higher, you may well get gastrointestinal issues, such as an upset stomach, cramping, and/or diarrhea. However, most people are completely fine with this safe amino acid salt, and you typically will NEVER see doses that high. It passes through your system relatively quickly – in just a few hours, so the symptoms won’t last long. Now, a lot of companies began claiming in the early 2000s that arginine would increase muscle growth. The fact is, it will help you work out harder, but the amount needed to REALLY induce muscle protein synthesis on its own is too high and not in the average supplement. This is why it’s great to take for the increased pumps and ferocious workouts, but if you want to grow muscle, stacking it with creatine is a better idea. Thankfully, Jack3d has both!! You can click the link ahead to read about all of the Jack3d Ingredients and see what else we have in store for you! Can I Stack More Arginine Alpha-Ketogluterate with Jack3d? YES – And this will give you a better pump very cheap. However, I’d urge you to instead stack it with Yok3d, which is based off of arginine nitrate and actually yields far more insane pumps. Yok3d is stimulant free, so you can add it to Jack3d, and it’s also cheap. The nitrates in Yok3d are amazing – longer-lasting, stronger pumps with better strength increases. Better erections too! If you still want to get AAKG, it’s basically dirt cheap. The best deal on the most basic AAKG, NOW Foods’, can be found here. Stack it however you like, it’s a bit chalky, but relatively tasteless, odorless, and colorless. Hopefully that answers some of your questions. Drop comments below if you’d like to discuss more.